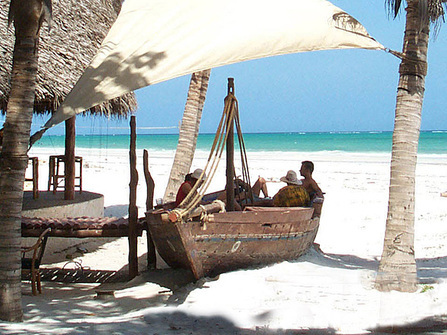 This one week bush and beach safari is a fantastic introductory safari offering good value. 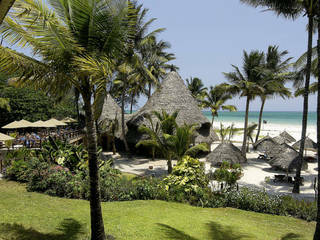 This is a wonderful relaxing holiday combining a world class safari experience and relaxing Indian Ocean Beach Resort. You will enjoy game drives from an atmospheric small bush camp in the Maasai Mara reserve and then head on to the Kenya coast for a couple of days relaxing on the beach. Upon arrival in Nairobi you'll connect with a domestic flight to the Masai Mara. The Masai Mara National Reserve is Kenya’s premier safari park, a vast expanse of savannah grassland heavily populated year-round with wildlife. There is always a strong chance of seeing lion in the park. Leopard and Cheetah are rarer but sightings are possible. Elephant, buffalo and wildebeest are common. The rivers and hippo pools play host to crocs and hippos. In season the park plays host to the epic Wildebeest Migration (late June – early September). You'll be staying in an atmospheric small bush camp in a superb location with experienced wildlife guides camp. 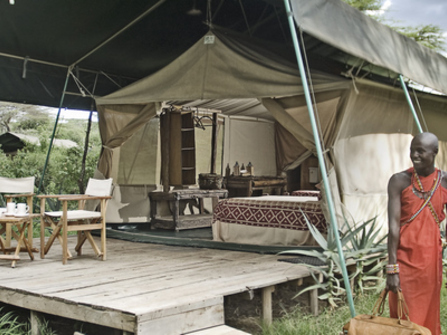 We find Speke's Camp offers excellent value for this part of the Mara. For those with more budget to play with, we can recommend, the nearby Kicheche Mara Camp or if you prefer a larger lodge with swimming pool, Kichwa Tembo. After safari it is always nice to end your trip with a relaxing few days on the beach. 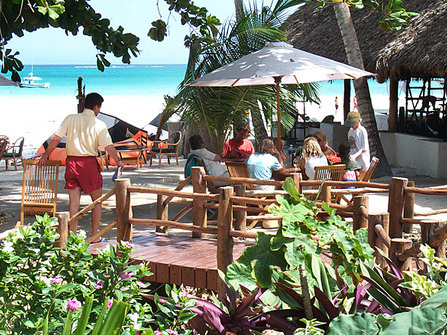 Pinewood is a small hotel on the Diani Beach, offering a choice of dining, tennis courts, gym, beach games, swimming pool and Jacuzzi. Optional activities include spa and water sport centre offering diving, snorkelling, deep sea fishing, kite surfing, ocean excursions and windsurfing. Pinewood offers excellent value for money, but those wanting a more paired down barefoot experience, we can recommend Funzi Keys. This itinerary has been designed specifically with an eye on keeping costs down without sacrificing the quality of safari experience. Should you have more time and budget available, then we can recommend an additional night on safari in the Masai Mara and perhaps branching into a two-centre safari combining with a Camp in the Northern Laikipia region (which offers a more active, adventurous and remote safari experience). After arriving at Nairobi International Airport, you will be met by a representative and transferred to the domestic airport for scheduled light aircraft flight into the Masai Mara. There is usually time for an afternoon game drive in the Mara finishing with sundowner. Evenings at Speke's Camp are usually spent with a drink around the camp fire and dinner under the stars. 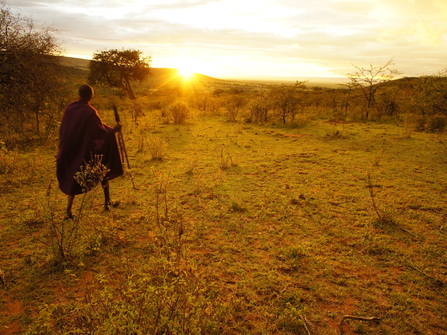 Ecologically Masai Mara is an extension of the great Serengeti plains and teems with abundant wildlife. We traverse the park in search of elephant, buffalo, lion, cheetah, leopard, zebra, giraffe, hippo, crocodile and a whole ark-full of other animals. Speke's Camp has, in our opinion, some of the best guides in the Mara, and having them on board ensures you get the very best chance of seeing most of these animals and understand their habits. From July to September, the Mara is home to the great wildebeest migration, a spectacular sight when wildlife populations peak, and you have a chance of witnessing the grand spectacle of a river crossing, when vast numbers of wildebeest attempt to cross the Mara River and dodge the waiting crocodiles. On safari, with your own private guide and vehicle, you have the option of full day game drives or morning and afternoon game drives with lunch and rest at camp in the middle of the day. You'll fly back to Nairobi, to make onward scheduled early evening flight to Mombasa. 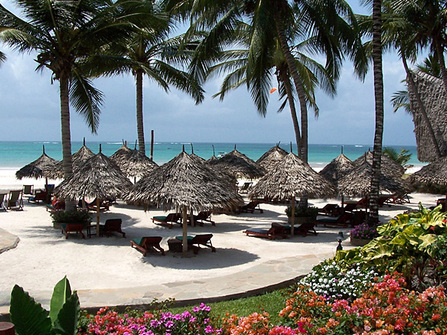 (Flight to Mombasa part of your international flight ticket) On arrival you will transfer by road to your hotel. International flights from the UK to Kenya typically cost £850 - £1250 return per person (see below for more detail) depending on the airline and when you are travelling. Please get in touch for a flight inclusive quote. British Airways and Kenya Airways fly direct from London Heathrow to Nairobi. Prices start from £750 return but direct flights at this price are usually only available if booking very early or for visits out of the school holidays. During school holiday periods, prices are usually over £1000 return. KLM flights via Amsterdam are a superb alternative to direct flights, particularly if you are flying from Manchester, Glasgow or other regional airports, where you would need to stop anyway. Prices start from £650 return, and are usually available under £800 pp year round as long as you have a little flexibility in your dates. Qatar, Turkish and Ethiopian Airlines offer slightly less convenient one stop flights with longer stop-overs / less convenient flight times (e.g. Turkish lands at 4am in Nairobi). We sometimes recommend these flights for those on a tight budget or those late booking during peak periods when flight prices on BA, Kenya Airways or KLM can double. All accommodation and meals as mentioned, park fees, scheduled shared safari activities and transfers quoted in the itinerary. Excludes: Visa fees, travel insurance, drinks, items of a personal nature and international flights to Nairobi. Price for ground arrangements is valid year round (except Christmas and New Year). Price quoted excludes international flights London to Mombasa via Nairobi. Please get in touch for a flight inclusive quote for your dates. It is best to avoid the long rains that run from the second half of March, April, May and into early June. During this period it tends to rain through the night and into the morning. It is usually possible to get a dry spell between 10am and 2pm for getting out on safari. The short rains bring some rain during September and October, but this is less of an impediment and they have usually cleared up by October half term. December, January, July and August are peak season, expect flight costs to be substantially higher.